I used to have this breed When we lived or the ranch years ago. Very smart hard working dogs. These were the full sized ones 40 lbs or so. We now have the smaller version that I love. The are just as dedicated to you and follow you everywhere but in a much smaller form. Still can jump up into the back of your farm truck and chase cows but also they make great house pets. Shilo is 15 lbs and 14 inches tall. 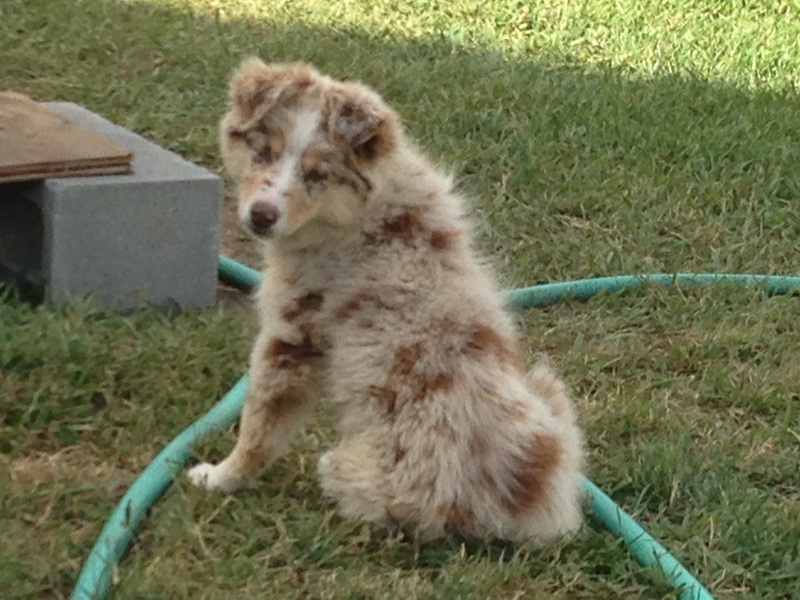 She is a red merle in color.